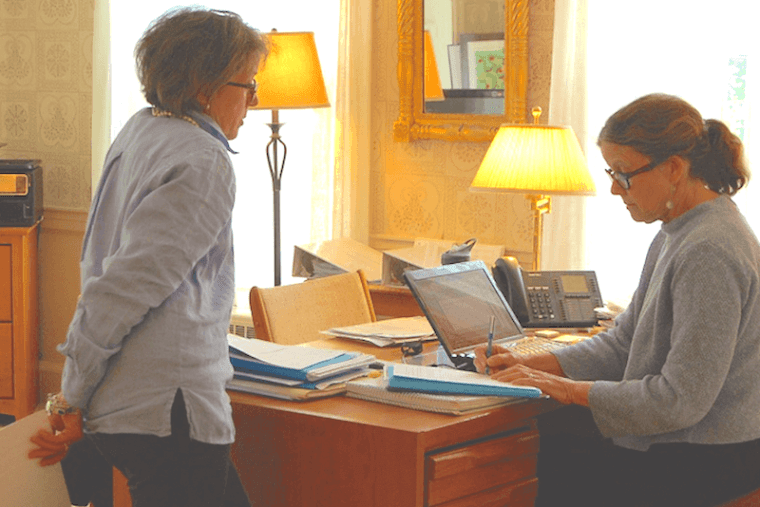 Morton Real Estate is proud to announce that we are the exclusive brokers for The Highlands Retirement Community Properties in Topsham, Maine. If you are looking for a gorgeous retirement home in Topsham, Maine, we have what you need. With over 75 acres of naturally wooded and landscaped grounds, and various styles and sizes of individual residences from which to choose, The Highlands in Topsham, Maine is more than a community — it’s home. Their senior living community promotes an atmosphere of neighborly values shared by its residents who enjoy endless possibilities to maintain wellness, social connections, and independence. 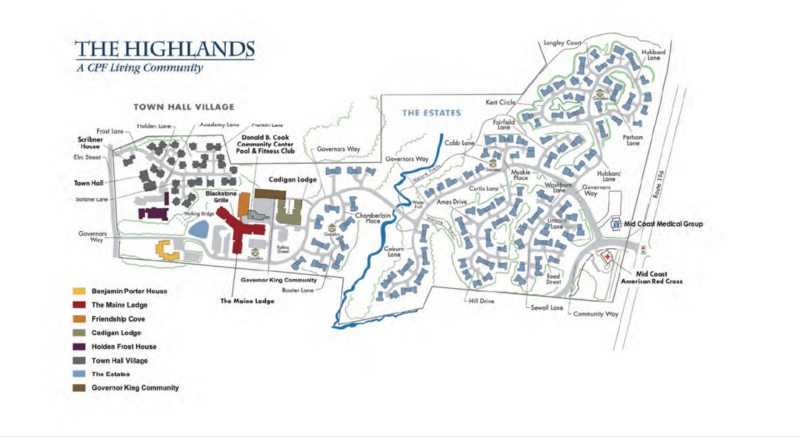 The Highlands has continued to deliver peace of mind and a lifestyle of excellence to its residents for over 20 years. No matter where you live in The Highlands, carefree living is the common theme. The Highlands provides everything from home maintenance, to housekeeping, lifestyle pursuits to restaurant-style dining. One day they can arrange transportation and the next day deliver a chef-prepared meal directly to your door. At The Highlands, their 24-hour Resident Services team can make it happen no matter what time of day. For a retirment community in Topsham that has everything you need, consider The Highlands. If you are currently thinking of moving, perhaps even downsizing, The Highlands may be one of the best options for you. Below is a sampling of the current properties available at The Highlands. Please contact us directly if you are interested in learning more about one of these properties and how Morton Real Estate specialists, in collaboration with the team at The Highlands, can assist you through your transition to one of The Highland properties in The Estates or the Town Hall Village. Contact either Annie Robinson or Jeannie Cloutman Parker at Morton Real Estate. We look forward to hearing from you. Town Hall Village is located in the historic district of Topsham, the gateway to Midcoast Maine. This neighborhood is truly unique and is now entering its final phase of new construction featuring custom cottage homes for sale. Built around Topsham’s old Town Hall, it demonstrates The Highlands’ continued dedication and passion for preservation and restoration of historic buildings. Town Hall Village uniquely combines the charm of a New England village with the style and comfort of a new cottage home. With four home styles, you can choose the floor plan that fits your lifestyle and even add features of your choice. Don’t miss your opportunity to design your own home and enjoy all the advantages that go along with being a part of this exciting neighborhood. Residents of Town Hall Village enjoy all the features and benefits of cooperative ownership. Click on the image to learn more about each property. The Estates features, 132 single and duplex cottage homes with a choice of four different floor plans. Each neighborhood within the Estates has its own co-op. From breakfast nooks and dining patios to large master bedrooms and beautiful guest rooms, these homes for sale in our retirement community has it all. Nestled into friendly neighborhoods, residents love to garden, enjoy the walking paths and gather for cocktails at the neighborhood gazebo. The Estates covers dozens of acres of Maine’s natural woodlands. Residents of the Estates enjoy all the features and benefits of cooperative ownership, which is exactly what many of our residents have been searching for in a retirement community in Topsham. If you are currently thinking of moving or downsizing, The Highlands may be just the right option for you at this time. If you would like to learn more about our Topsham retirement community or view one of the properties at The Highlands, please contact either Annie Robinson or Jeannie Cloutman Parker at Morton Real Estate. We look forward to hearing from you and further discussing our Topsham senior living community!